We cannot end something that the public doesn’t even know is happening. Please join us in using the power of Facebook, Twitter and email to tell your friends, family and the world that gendercide is real, is happening right now, and it must end! 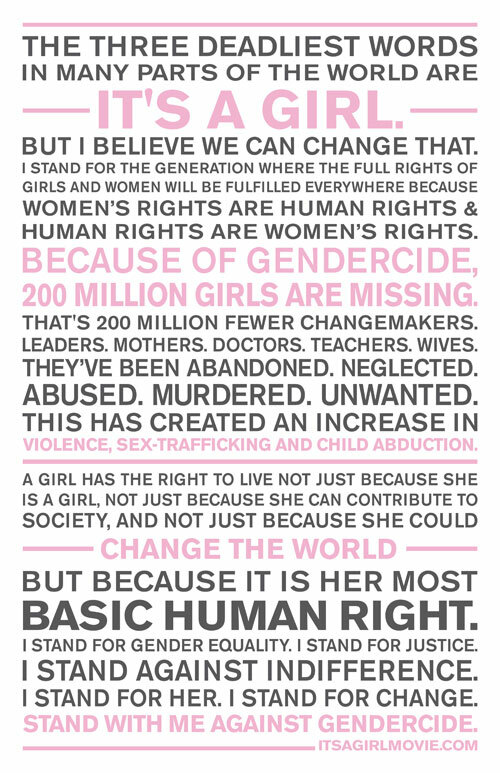 Up to 200 million girls are missing in the world. We must end #gendercide now!